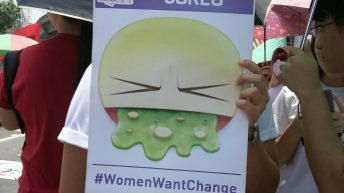 MANILA — Bulatlat.com was cited by students of St. Scholastica’s College for its report in the implementation of the law protecting the rights and welfare of women. 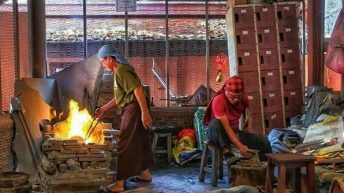 The report titled, “More gaps than gains? 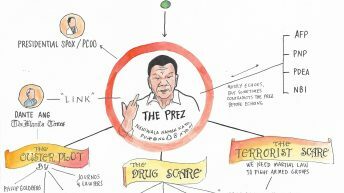 | Anti-women portrayals, practices continue despite Magna Carta of Women,” written by Anne Ednalyn dela Cruz, received an award for Outstanding Achievements in Online Journalism. 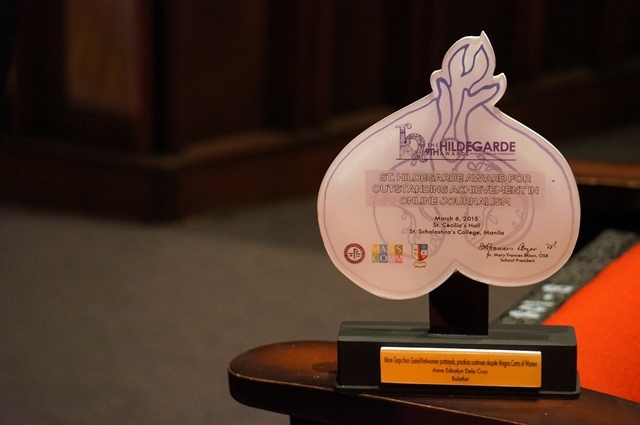 The 9th Hildegarde Awards for Women in Media and Communication is named after St. Hildegarde of Bingen of Germany, a celebrated Benedictine nun. St. Hildegarde, who was considered a woman ahead of her time, was a counselor, linguist, naturalist, philosopher, physician, herbalist, poet, visionary and a composer. 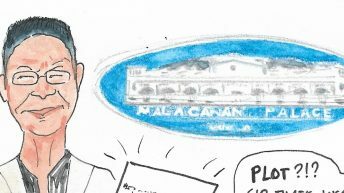 Dela Cruz is the first graduate of the Mass Communication Department of St. Scholastica’s College – Manila ever to receive an award. 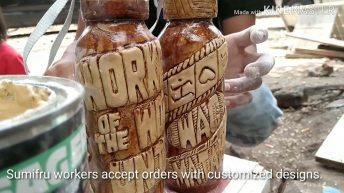 In her speech, Dela Cruz recalled how, some four years ago she, too, was busy preparing for the awarding ceremony as a member of the souvenir committee. 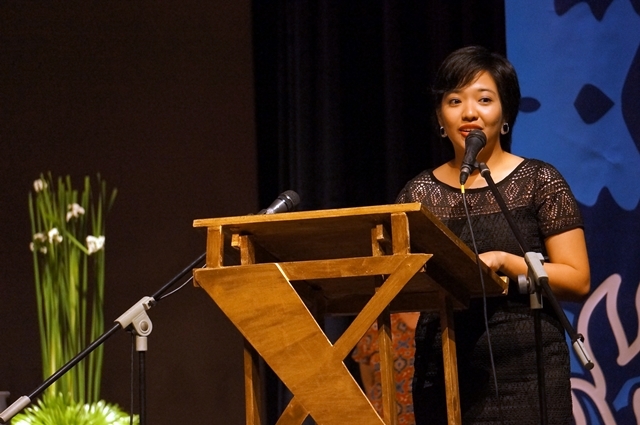 She thanked everyone who helped her along the way, from the school’s official student paper The Scholastican, DZMM and the Philippine Center for Investigative Journalism, and Bulatlat.com. 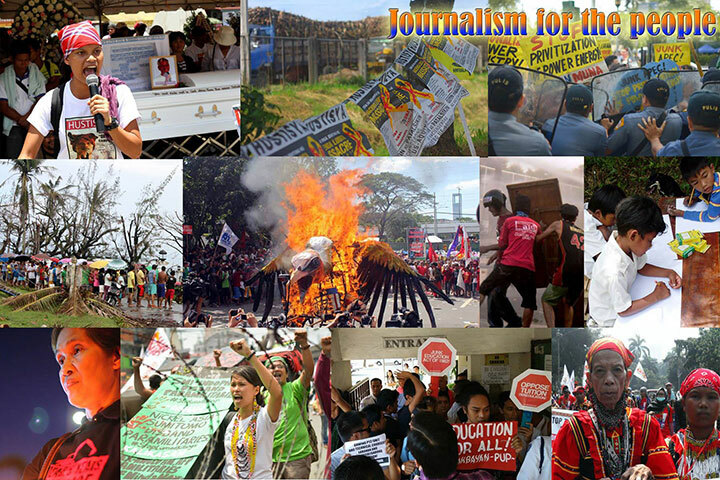 Dela Cruz’s story was also cited in the 18th Graciano Lopez Jaena Community Journalism Workshop of the University of the Philippines – College of Mass Communication in 2014. 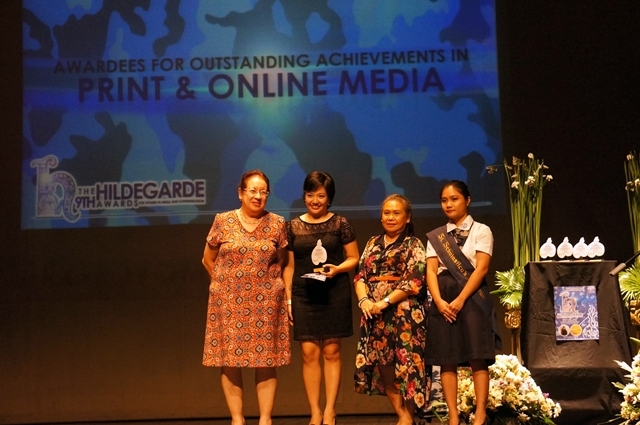 This is the third time that Bulatlat.com won a citation from the Hildegarde Awards. 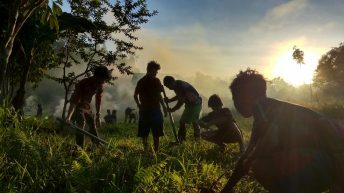 Apart from Bulatlat.com, other recipients were: Rappler for their story “SAF 44: The Women They Left Behind” and Vera Files for “Saving Metro Manila’s Last Urban Forest.” Each received a citation for online news. Hildegarde Awards also handed a lifetime achievement award to filmmaker Ditsi Carolino and the late Susan Calo-Medina of Travel Time. Manu Sandejas, co-host of Travel Time, and the Medina family received the award in behalf of Medina, who passed away on Jan. 9.